Sourced from the Elvenglade Vineyard in the Yamhill-Carlton AVA, this wine has bright fruit and balanced acidity with just a touch of new oak to give added richness. This dry Pinot Gris is made from grapes sourced from Merten and Roya Vineyards in the Willamette Valley. This is a refreshing, high-acid wine that is perfect for warm weather sipping. This wine is vinified completely dry with full skin contact for 13 days giving it a beautifully round, full taste to match it’s high acidity. Very few wineries in Oregon make rosé from Pinot Gris, so this is a special wine that’s fun to make and to drink. Sourced from top vineyards in the Willamette Valley, this Pinot Noir is a beautiful representation of the vintage. Grown on unique Laurelwood soil deposited over many millennia, this Pinot Noir consists of Dijon 777, 828, 115, and Pommard grapes farmed on the Ruby Vineyard estate and neighboring vineyards up to 750 feet elevation. 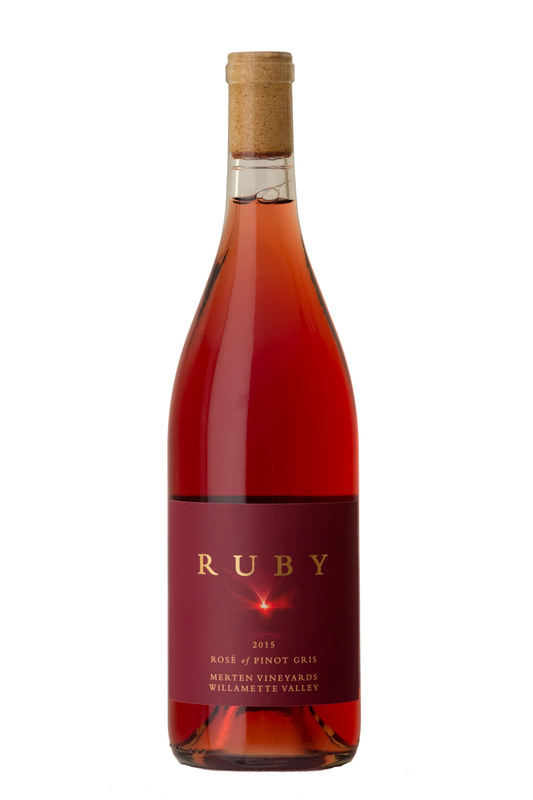 Our Estate Blend is entirely comprised of 40-year-old own-rooted Pinot Noir from our estate vineyard. The generous palate shows off the deep concentration of old vines and the 2015 growing season. 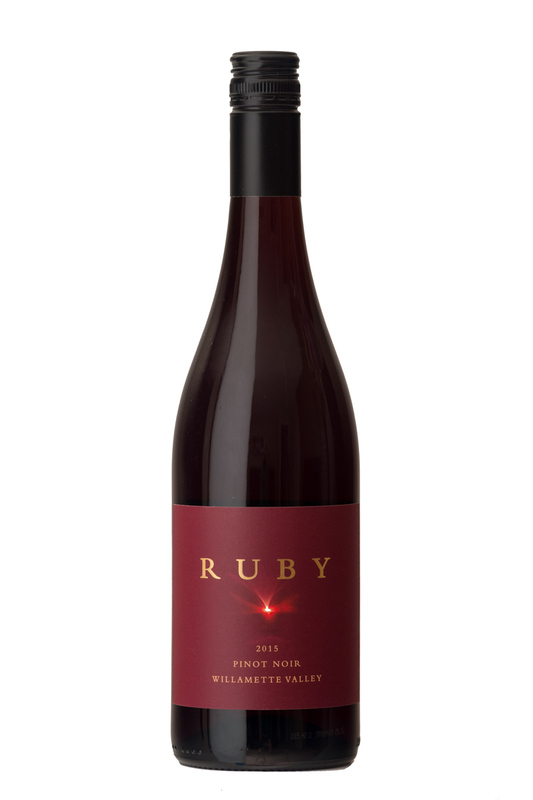 Made from the 40-year-old own-rooted Wädenswil clone of Pinot Noir from a special block of our estate vineyard, this wine is a special selection of Ruby co-owner Flora Habibi’s favorite barrels of the vintage. A selection of six barrels made by Ruby co-owner Steve Hendricks. This Pinot Noir is a big and bold expression of Laurelwood soils. This wine is a barrel selection of some of the best neutral and once-filled barrels in our cellar. The intent is to represent the vintage as expressed through different lots from sites throughout the Willamette Valley. This Pinot Noir honors the legacy of Ruby co-owner Steve Hendricks’ great-great-grandfather, Abijah Hendricks, a pioneer on the first wagon train on the Oregon Trail in 1843. The wine was made from grapes from Timbale & Thyme Vineyard, situated within the 640 acre parcel homesteaded by Abijah and Mary Jane Hendricks. Its label bears the land deed originally granted to the Hendricks Family.